Based on cutting-edge research, this clinically-proven formula is designed to preserve and support vision for those concerned with, at-risk for, or in the early stages of AMD. 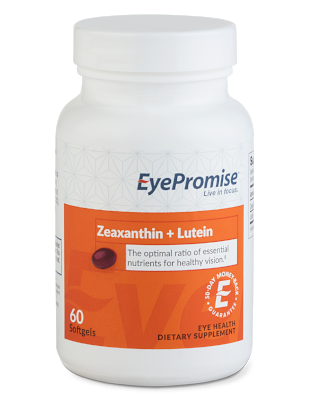 Replicates the body’s natural ratio of zeaxanthin to lutein found in a healthy fovea, along with other essential vitamins and nutrients proven to support healthy vision. Increases macular pigment, a leading risk factor for age-related eye health. Is the only nutraceutical line guaranteed to increase MPOD. Now includes B6, B12, Folate, and CoQ10. 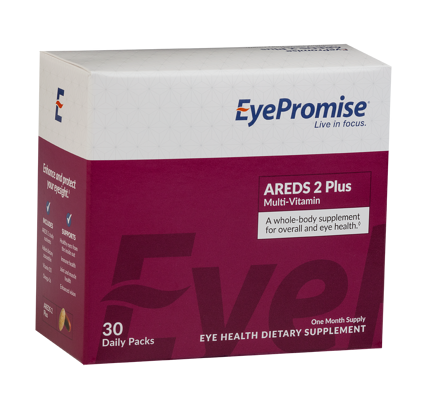 A whole-body nutraceutical for overall and eye health, formulated with nutrients outlined in the AREDS 2 study plus additional science-supported nutrients demonstrated to support aging eye health. Contains a multi-vitamin; approximately 90% of AREDS 2 study participants supplemented with a multi-vitamin. 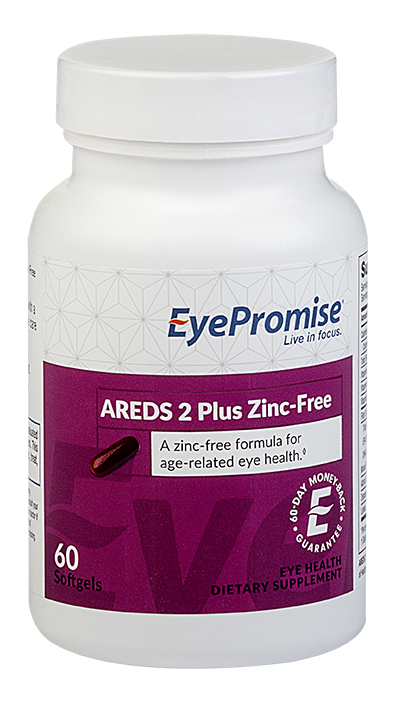 A zinc-free nutraceutical for eye health formulated with nutrients outlined in the AREDS 2 study plus additional science-supported protective nutrients demonstrated to support aging eye health. Is for those who want to avoid added zinc in their diet/ genotype directed supplementation. 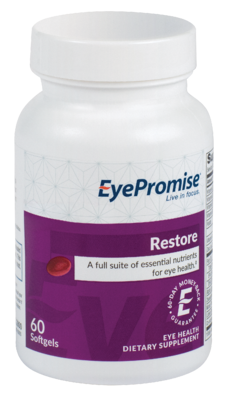 The foundational nutrient to naturally protect and enhance vision. 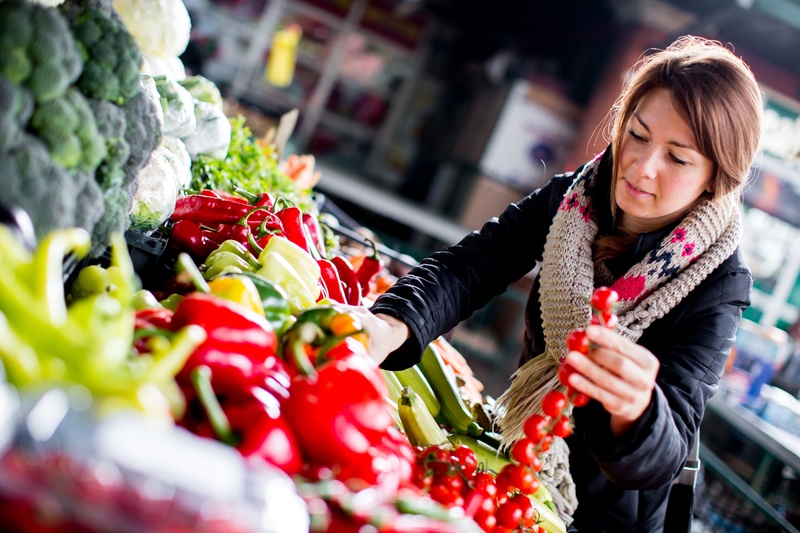 A vegetarian formula for those concerned with age-related eye health. 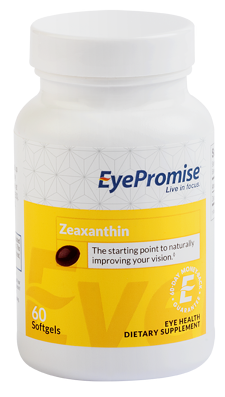 Supported by research – Zeaxanthin and Visual Function Clinical Research Study (ZVF). The optimal combination of essential nutrients for protecting and enhancing vision. 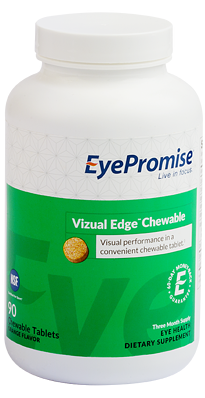 A formulation for those looking to supplement their multi-vitamin with nutrients proven to support eye health. Designed to increase macular pigment, a leading risk factor for age-related eye health. Nutritional support formulated for improved visual function - including macular pigment optical density (MPOD), color vision, contrast sensitivity, etc. - without impacting normal glucose levels. Proven scientific results – Diabetes Visual Function Supplement Study (DiVFuSS). 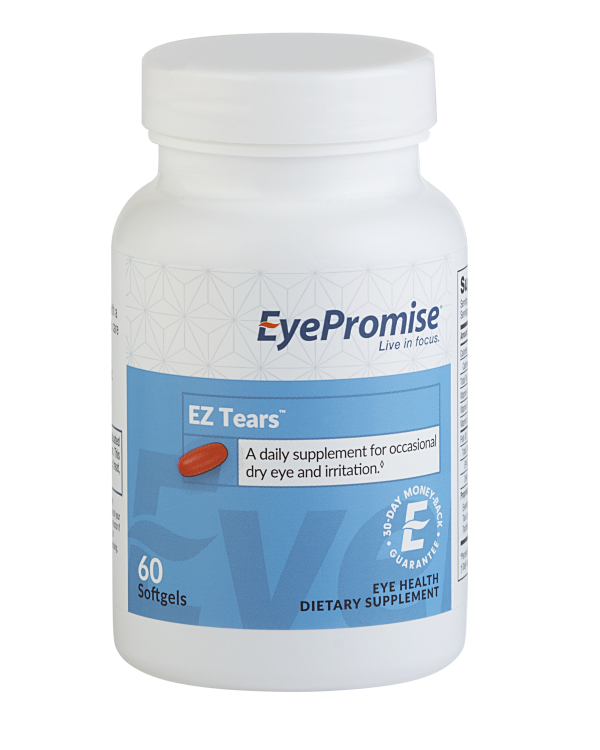 A daily nutraceutical for occasional dry eye and irritation to help produce more natural tears and relieve associated eye discomfort and irritation – including OSDI improvement, TBUT improvement, lid inflammation improvement, etc. Proven science - Ocular Nutrition Impact on Tear Film Study (ONIT). More than Omega-3s; includes eight additional anti-inflammatory ingredients. Rapid relief of symptoms in as little as one week from initial supplementation. A 50% increase in Omega-3 index in 60 days. A once daily, chewable, orange-flavored tablet designed for those who prefer to avoid softgels and pills with high quality ingredients proven to help individuals see better and react faster. Improvement and protection in vision quality/clarity. Reduced glare and light sensitivity. Is NSF Certified for Sport. Is formulated to work with daily vitamins and minerals. Is scientifically supported — The positive effects of the macular carotenoid Zeaxanthin on visual performance and neural efficiency in young, healthy subjects and college athletes. To learn more about becoming a Dispenser or Prescriber, or to schedule a Nutraceuticals product demo, please complete the following form. Our regional accounts specialists are standing by to assist you.